If there’s one thing that Manchester’s missing, it’s good barbeque food. Sure there’s Red’s; I was a fan from the start but they seem more concerned with getting sauces into supermarkets and brewing their own (mediocre) beer these days. 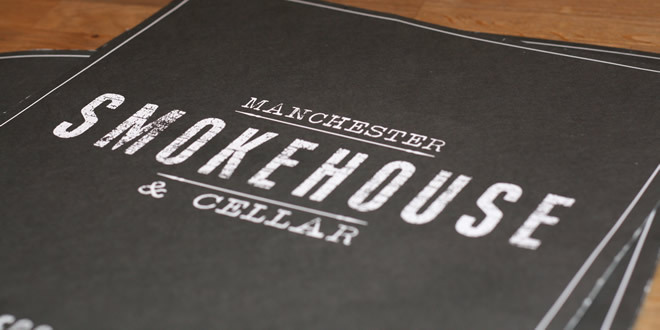 Then came ‘Smokehouse’ or ‘Manchester Smokehouse’ as it’s officially known. 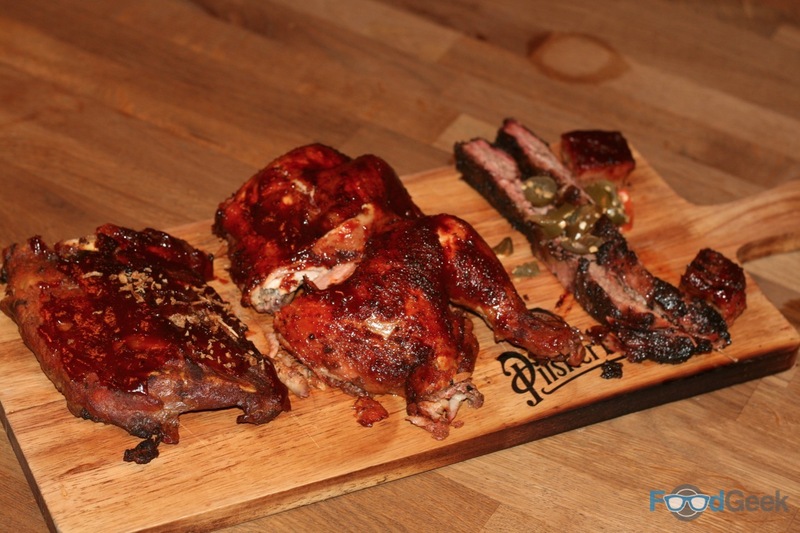 Headed up by Jason Latham, a chef who not only knows his way around a kitchen but a smoker too. 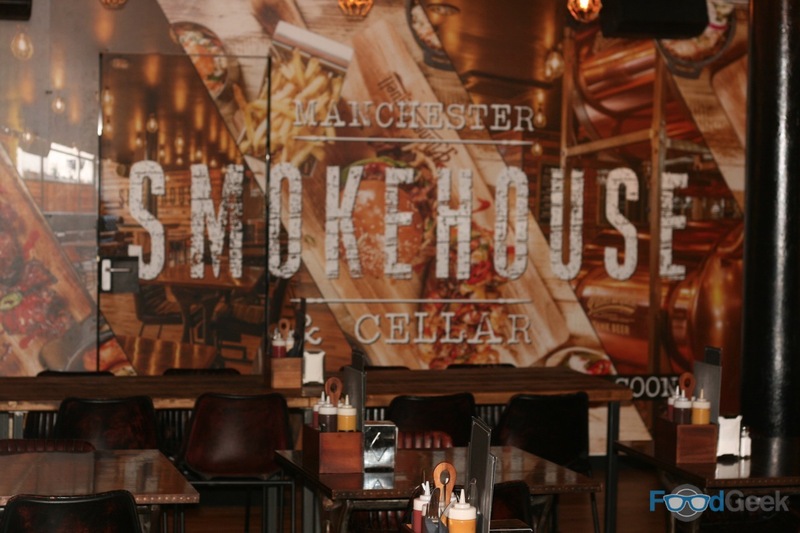 I’d heard mixed reviews about Smokehouse but I trust Jason. 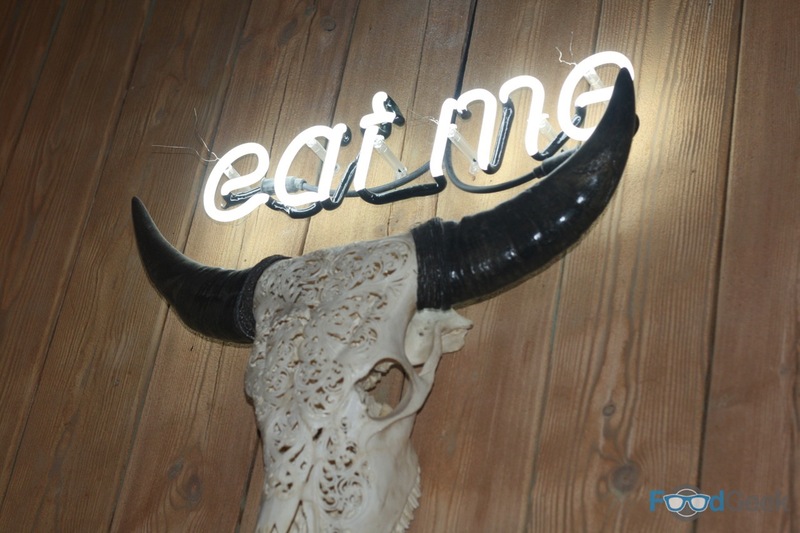 I’ve eaten his food many times at Solita and Lucha Libre as well as his own street food brands. And I know how passionate he is about smoking too. Having entered competitions and appeared on industry leading podcasts he’s definitely the right man for the job. 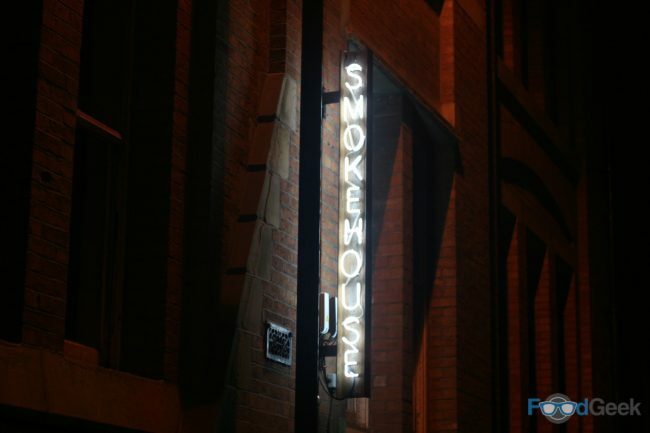 Smokehouse is intriguingly located just a few doors down from Red’s on Lloyd Street. I’ve heard they weren’t happy about this which I found strange. Surely as the established brand they have a huge advantage? The restaurant is bigger than I expected. A large dining room with classic American BBQ decor is overlooked by the shiny new open kitchen. There’s lots of wood, exposed brick and polished metal. The menu is pretty much classic American BBQ too. 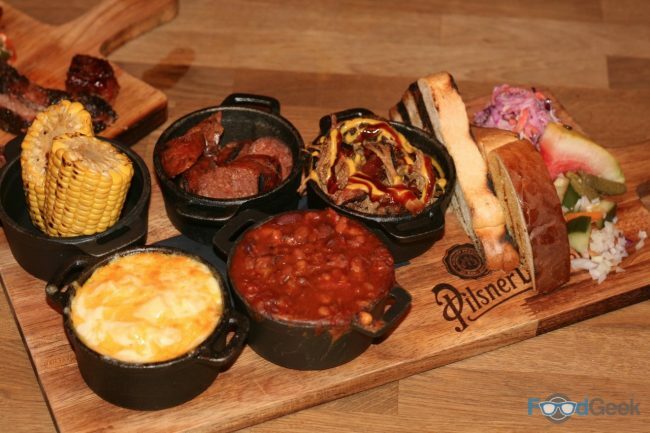 Texas brisket, St Louis Spare Ribs, burgers and pulled pork feature. As does pizza, somewhat surprisingly. There’s no conventional oven, everything is cooked low and slow with fire or wood. 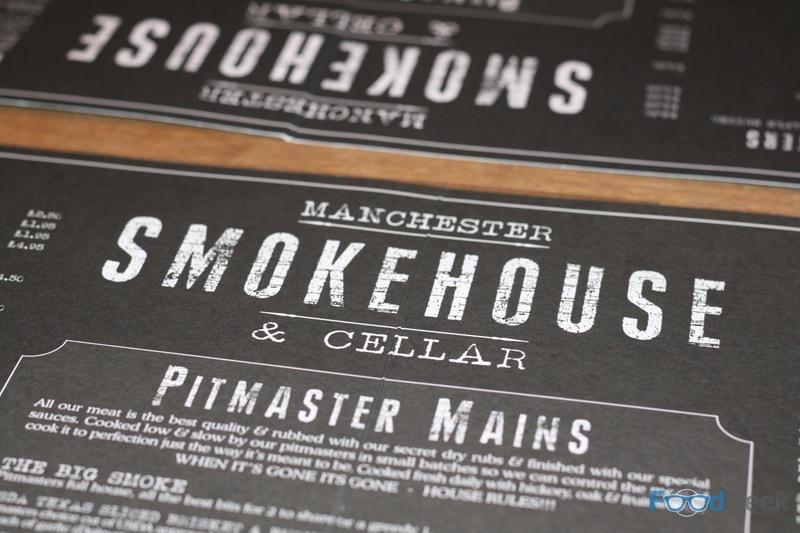 The pizza from a traditional wood-fired oven, meat in fancy smokers. There are some interesting looking fish options, including a whole sea bass stuffed with fennel slaw. But I only had eyes for MEAT. 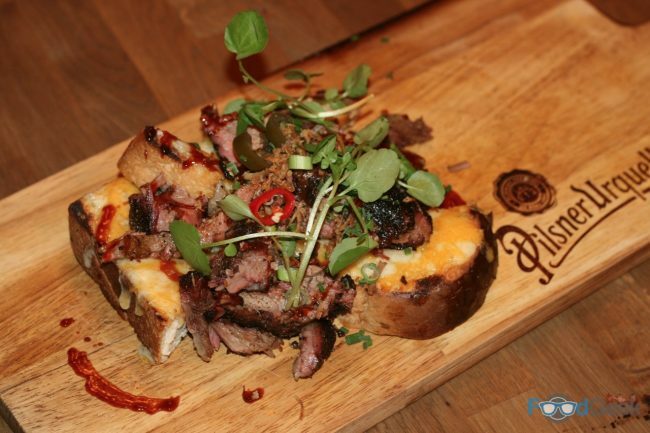 A thick slab of griddled bread is topped with smoked brisket, garlic butter and melted cheese. It was a touch dry, both the brisket itself and the dish as a whole. Although it made up for it in flavour it definitely would’ve been improved by a good lashing of BBQ sauce. Then we shared ‘The Big Smoke’, a platter containing most of the meaty big hitters. Generally, it was very good. Again the brisket was a letdown, quite dry and a bit bland. But otherwise it was great, the pulled pork and baby back ribs were good. The chicken was fantastic; super juicy and full of smoky flavours. My favourites were ‘Hot Links’, pieces of smoked sausage with jalapenos and cheese. 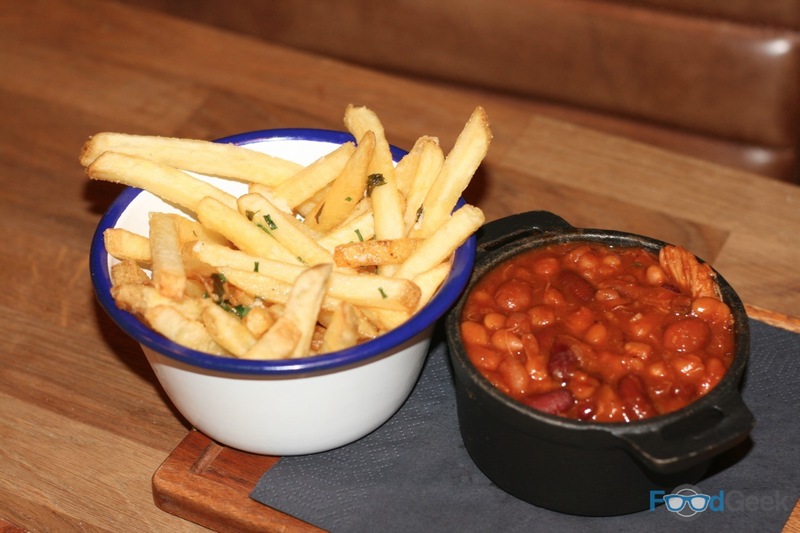 And ‘Pit Beans’, rich and spicy with generous chunks of smoked meat. The Baby Back Ribs were so good we bought another whole rack. Amazingly tender meat – you know the type that literally falls from the bone – is dry rubbed and finished with a BBQ sauce glaze. 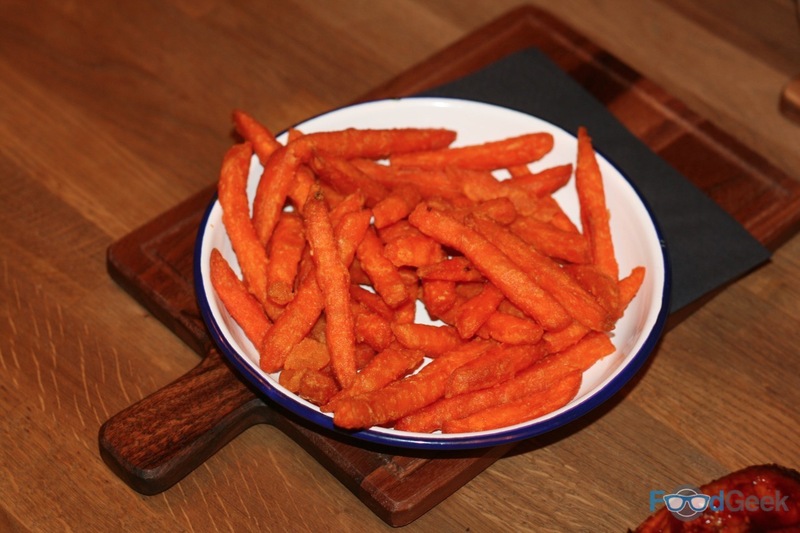 Fries – both regular and sweet potato – were decent. But those beans! Brisket aside the food was impressive. 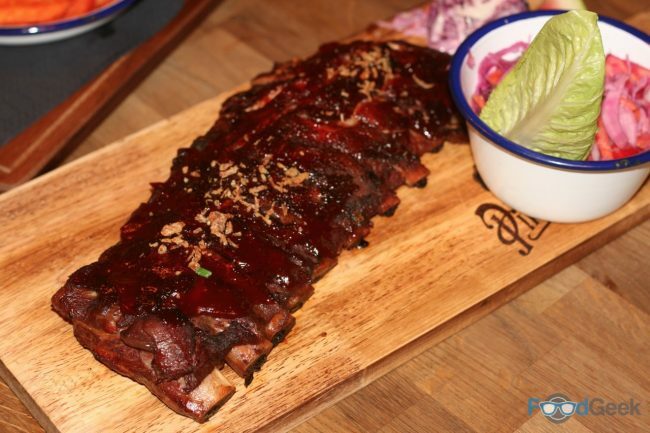 Good quality meat, cooked low and slow with spices and clearly lots of love. And did I mention how good the beans were? 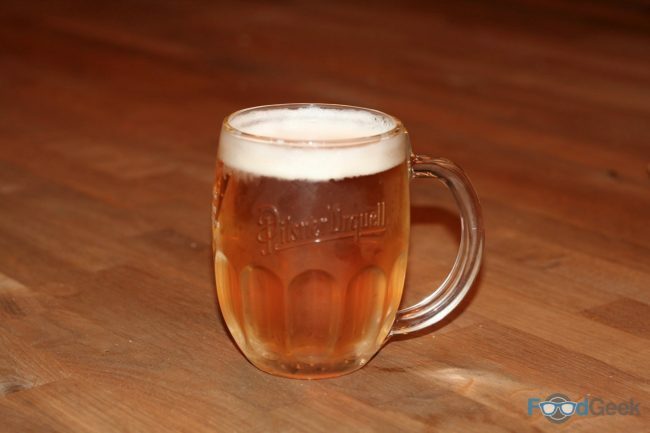 Nothing goes better with barbeque food than beer. Ideally some good American craft beers. 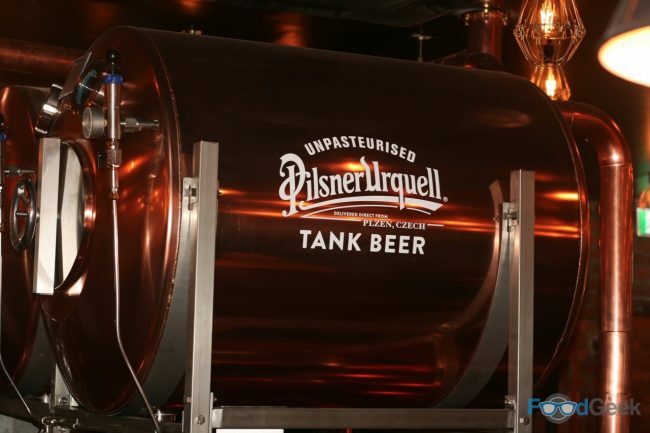 But if you’re going to offer mainstream lager, it might as well be fresh from the tank Pilsner Urquell. Service was also good. Smooth, friendly and efficient. It’s pretty decent value too, helped by ‘The Big Smoke’ which is a LOT of food for £38. Overall, I really enjoyed Smokehouse and would definitely choose it over Red’s. The only slight disappointment was that desserts are currently being bought in. Apparently, the lack of an oven makes it difficult to come up with them in house. Quite a big oversight when it comes to designing a restaurant, if you ask me. But it’s easy to forgive when they’re doing so much right. Plus, you don’t really need dessert after food like this anyway.